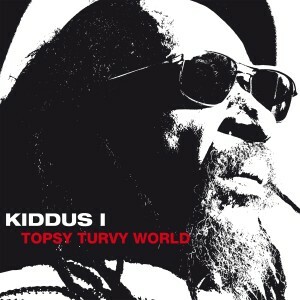 Kiddus I in 1978 became a legend. In the most famous cult movie of reggae Rockers (Universal Pictures), he played a key scene when he voiced the title Graduation In Zion at Jack Ruby’ s recording studio with Earl “Chinna” Smith, Robbie Shakespeare and Wire Lindo in front of the cameras. Kiddus I was always surrounded with all the legends of reggae as he was a visionary and many greats including some that are no longer with us like Bob Marley, Jacob Miller and Peter Tosh to name a few spend much time reasoning with Kiddus i as he has been called The Sheppard and Doctor Feel Good. All his Legendary Friends were always Happy to sit in and play on anything Kiddus I was doing, as he has always been Progressive. For that reason Kiddus I depth in recording is very special as he brings the brotherhood to the Music. While artists such as Burning Spear, Inner Circle or Gregory Isaacs could use the film as a springboard for an international career, you should not hear any Kiddus I longplayer for long time. The reasons are tragic and funny at the same time: the master tapes of his recordings from 1978 got lost as he calls himself today with a charming self-deprecation “The Most Recorded But Never Released Artist”. Topsy Turvy World was recorded by some of the world’s legendary reggae musicians of the 70s. In two years of studio work they created an authentic roots reggae album that more than any other production of the last thirty years is reflecting the sound of the Bob Marley era. No wonder, as with Aston “Familyman” Barrett (bass) and Tyrone Downie (Hammond, piano and clavinet), two of the main Wailers play on the album. Earl “Chinna” Smith (guitar) and Uziah “Sticky” Thompson participated in countless reggae albums by artists such as Bob Marley, Jimmy Cliff, Peter Tosh and Burning Spear, but also on rock and pop productions of Joe Cocker, Sinéad O’Connor, Grace Jones and Michael Franti, to name a few. The Jamaican version of the “Buena Vista Social Club” was supplemented by nearly twenty other reggae musicians from Jamaica and Germany. The latter are mostly about JIN JIN, which recorded the first two albums from Sebastian Sturm. All instruments were recorded live and created a beautiful, relaxed reggae sound that is changing between melancholy and party feeling. Except for the soul classic “A Thin Line Between Love And Hate” (Persuaders) and the version of Serge Gainsbourg’s “Je T’Aime Moi Non Plus” (Consider Me) to Kiddus I wrote the English lyrics, you will find only original compositions by Kiddus. His lyrics are critical and rebellious but never preachy. He also knows how to tell stories about the good things in life with a hidden pun. Musically you can hear that Kiddus is a very versatile musician inspired by many influences from blues, soul, jazz and R & B. which he always sent packed in authentic reggae feeling. A must for every reggae fan and all those who have been waiting since Bob Marley’s death for a reggae record that combines songwriting and handmade, timeless sound together.